The RoboScanner is a dual axis magnetic wheel pipe crawler with a 12" and/or and optional 22" high speed (upwards of 20"/sec scan speed) raster arm. Older models are equipped with two wheel drive, newer models are four wheel driven. All AIS scanners connect directly to any AIS data system via a single umbilical. This no nonsense robust scanner has been used to examine gas spheres, penstocks, gas pipe lines, heavy wall pressure vessels, sub sea piping, tank walls, and water piping. 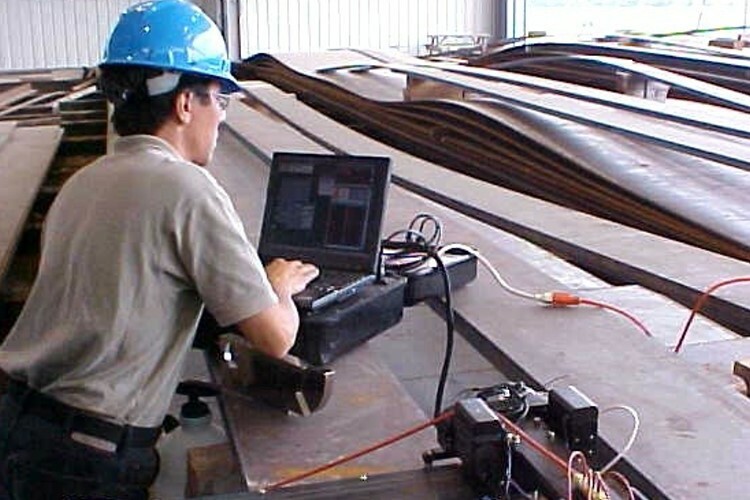 Applications for this scanner include TOFD, Corrosion Mapping, Zonal Techniques, and Weld inspection.